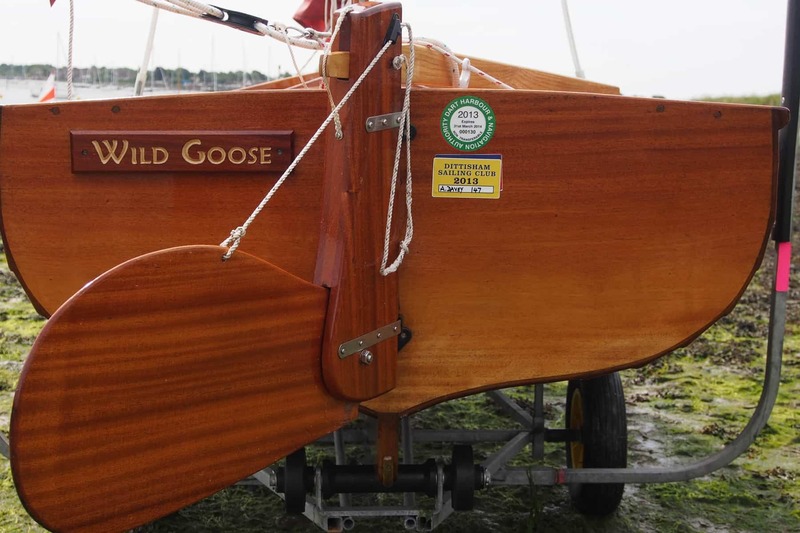 The first Walker 12’ clinker-built Gunter Sloop was designed and built in 1954 by L H Walker Limited of Leigh-on-Sea Essex. 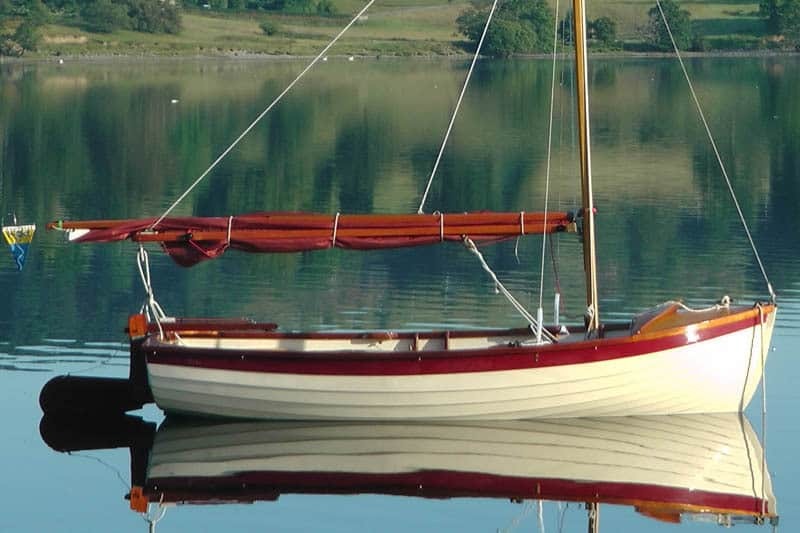 Early Walker Boats were made in a number of length from 8’ to 14’ and with many variations in fixtures, fittings, sails, rig and hulls, but it was soon clear that the 12’ Sloop, Clinker built in mahogany on oak with a sliding Gunter rig, was undoubtedly the most popular. (un-decked, galvanised fittings, no stern locker, rear side benches only). The boats continued to be built by Walkers until 1979 when trading ceased and the frames were destroyed, the last boats were sold in 1980. At least 504 12’ boats were built and recorded as Tideway’s. 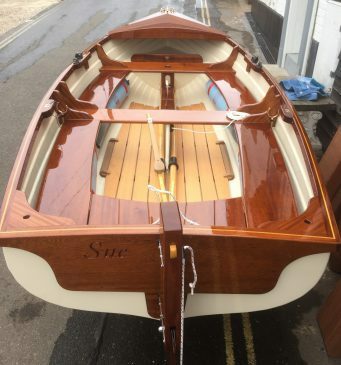 Since 1980 a number of other Boat Builders have built Tideway’s to specification and measurement and these are eligible for class membership. 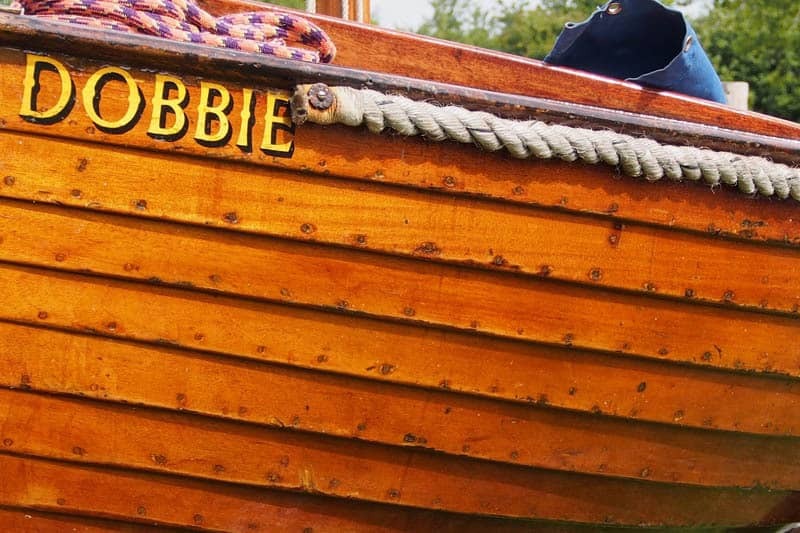 There is a comprehensive numbering system to enable all boats to be easily related to their year of origin. The original PY rating was 1447 but this is no longer current although it can be used as a guide when racing against similar age boats. Generous measurement criteria allow for changes of shape through age and design variations during the early evolution of the dinghy. Variations between the Popular, De-Luxe and Super versions and between Gunter and the few Bermudan rigs make little practical difference to performance. 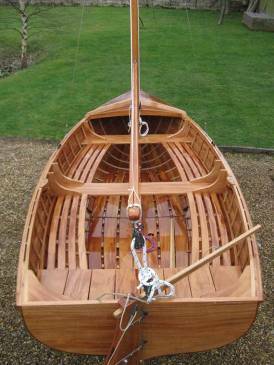 If you are interested in buying a Tideway see the Boats for Sale page or complete the Contact Us form.